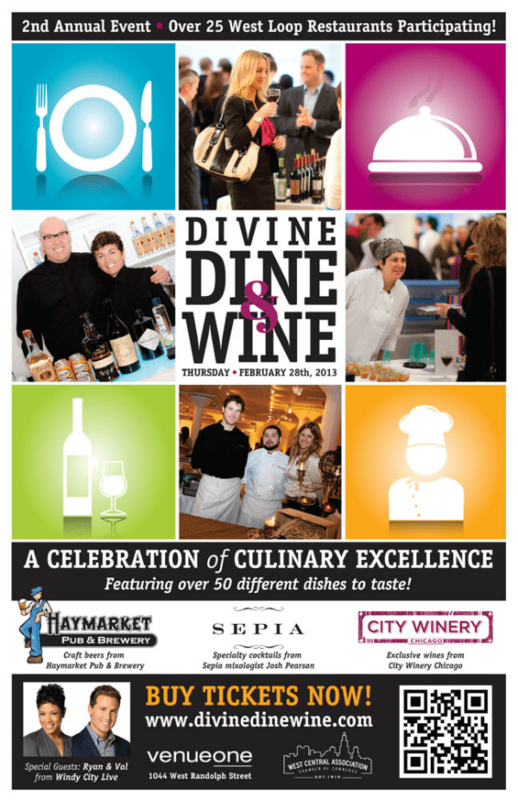 Divine Dine & Wine 2013 is taking place this Thursday, February 28 at Venue One. The second annual event brings together chefs from restaurants in the West Central neighborhood: West Loop, Fulton Market, Fulton River District, Randolph Street, Greektown and Taylor Street. Tickets are $95.